"Where did he get all that money?" You don't want to know the answer. 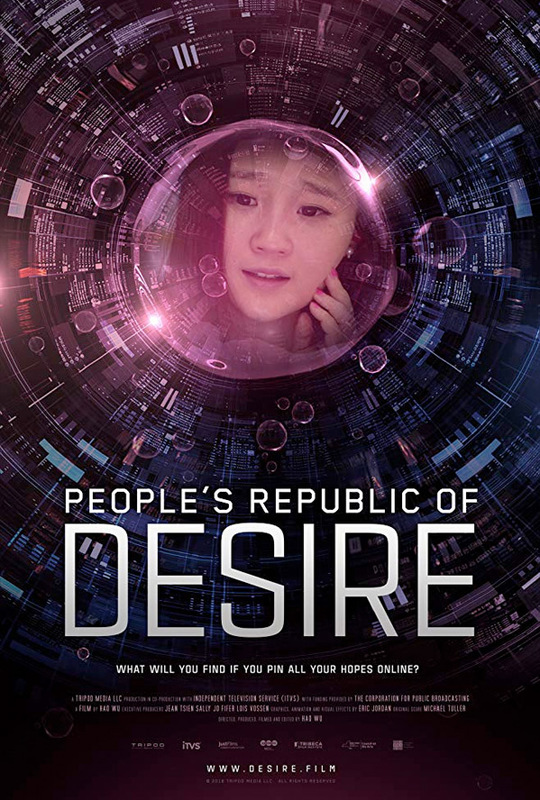 An official trailer has debuted for a documentary from China titled People's Republic of Desire, all about the live-streaming phenomenon that has taken over the country. This doc film won the Grand Jury Award for Best Documentary Feature at the SXSW Film Festival this year, anda lso the Grand Jury Award for International Documentary at the Los Angeles Asian Pacific Film Festival. Made by documentary filmmaker Hao Wu, the film follows three young characters – a singer, a comedian, and a migrant worker – as they search for fame, fortune and real human connection in live streaming. There's an immense amount of fame and fortune in the live-streaming world, and this film looks at both the good and the bad. It seems to be a scary cautionary tale of how self-absorbed society has become, and how superficial everyone (and everything) is in this hyper-connected, internet era. As an entire generation has come of age on social media, virtual relationships are slowly replacing real-life human connections. And China has taken it to an extreme. Here, live streaming has become the most popular online entertainment for hundreds of millions. People's Republic of Desire provides a vérité journey into this digital universe, where young performers earn as much as US$150,000 a month singing, dancing or doing talk shows to live, interactive audiences of tens of thousands. Their fans include China's super rich, who each night lavish virtual gifts on their favorite performers (40% of the money paid for these gifts go to the performers), and the dirt poor, many of them migrant workers in urban areas of the country searching for a cheap way to be entertained, and to feel connected. People's Republic of Desire is directed by Chinese filmmaker Hao Wu, of the docs Beijing or Bust and The Road to Fame previously. This premiered at the SXSW Film Festival earlier this year, and next plays at DOC NYC coming up soon. People's Republic of Desire will be released in select US theaters starting November 30th this fall. Who's curious?